Author of Crafting a Magical Life: Manifesting Your Heart's Desire through Creative Projects Carol is a gifted healer, educator and author, as well as an ordained minister and bereavement counselor. 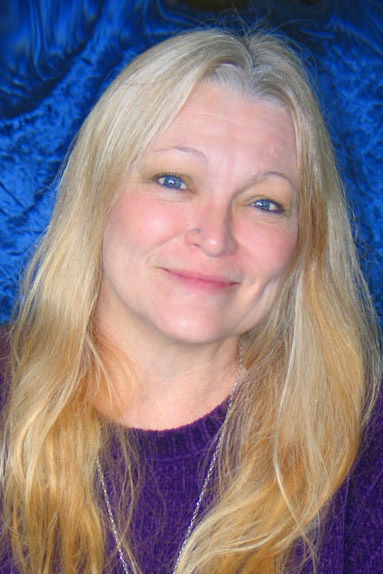 Carol received her BFA degree in Education at Texas Tech University in 1988. Since that time she has written curriculum for and coordinated educational programs, become a Reiki Master, a Master Practitioner of NLP, and has expanded and developed her own modality of healing with crystals, light and color for deep and effective healing on all levels. Carol offers group and individual education and facilitation. Nearly every success story you hear starts with a dream or passion held by the individual, one that they refused to give up and continued to feed and nurture, knowing deep within that somehow their dream would come true. And almost all of those successful people started out in circumstances that were considered to be less than ideal. Perhaps you have read the story of Noel Edmonds who has used techniques from Barbel Mohr’s book, The Cosmic Ordering Service, to manifest his comeback to television as well as enhance his state of celebrity, prosperity and admiration. Noel actively credits his success to following a plan of cosmic ordering, whereby he stopped focusing on the negative and began to systematically focus on the positives he desired to draw into his life. The results have been fabulous and historic. Noel is back on British television hosting a very popular game show and has increased his bank accounts and real estate holdings substantially, because that is what he ordered and focused his mind on creating. Noel Edmonds and others like him create their own successes by choosing the results they desire to have and then putting positive thoughts and imagination to work for them. They don’t give up if it takes a bit of time or they run into an obstacle. Instead they keep on moving forward and continue to hold that positive result in their minds, regardless of how situations may look on the outside, what others may say or do, or what has happened in the past. The result is that achieve the goal they have set for themselves. No longer is the desired outcome simply within the realm of possibility, but it has become a reality. The good news for you is that you can create your own success just as Noel Edmonds and others have done, using the power of your positively focused imagination along with positive thoughts to affect the morphagenic field around you and draw what you desire directly from the cosmos. This process of manifesting with positive imagination is actually quite simple, and I have every faith that you can do this for yourself with fantastic results. The first step is to sit down and examine your dreams. What is it that you really want deeply and sincerely? Write it all down so that you can come back to it later and see how amazingly you have brought it into being. The next step is to work on eliminating negative thoughts and negative self talk. As you read earlier, negative thinking has a definite effect on every aspect of your being and is the single biggest barrier to achieving a positive outcome. One simple way to reduce and eliminate negative thinking is to become aware of your negative thought patterns. When you catch yourself having negative thoughts or imaginings, simply let the thoughts or images pass and then counteract them with a positive “replacement thoughts and images” that you take a moment to dwell upon and reinforce. By doing this diligently you will be changing an old habit of negative thinking and imaging into a new habit of positive thinking and imaging, and this will be a great help in creating the life you desire to live. Once you have something in mind ask for what you want. Be clear and be specific. “I require a family automobile that is reliable, inexpensive to maintain, gets excellent fuel efficiency and costs less than $XXXX.” If you know exactly what kind of car you can state this also. Then reinforce your “order” with positive imagination. See yourself and family in this car, hear them talking about how wonderful it is and how much they like it. Imagine the feel of the seats, the steering wheel, and the smell of fresh upholstery and plastic. And then stand back and let your subconscious mind work on the morphogenic field (the energy field that takes the energetic blueprint you create in your mind and creates it in the three dimensional reality) to create the situations and opportunities that will bring you the car you have asked for. After you have sent your command into the morphogenic field with your thoughts and imagination you can let it go and simply go on with the business of living. However if thoughts of the car come to mind (especially any negative ones), simply take a few seconds to imagine all the great things you initially imagined about your dream car and then go back to your daily routine. The universe and morphogenic field work in the most perfect and efficient ways to bring you what you are asking for, and those ways are not always traditional, so you may be surprised at how your request manifests itself. You, too, can move yourself into a better job, release excess weight, draw into your life a better car or house, or any number of other wonderful things, all by focusing your imagination in a positive direction and re-training your subconscious mind. I have been applying these principles to my life for many years and have shared them with others who have used them successfully. So how happy and surprised will you be, sometime in the near future, when you realize that using my technique of retraining the subconscious with positive thought and imagination has worked and you find that you are indeed attracting to yourself all the good things that life has to offer? You may want to keep that paper with your dreams written on it handy so you can tick off all the things that your positive focus has brought to you and add new dreams to the list.